We were the first one to review the Yamaha Ray ZR scooter when it was launched by Yamaha back in year 2016. 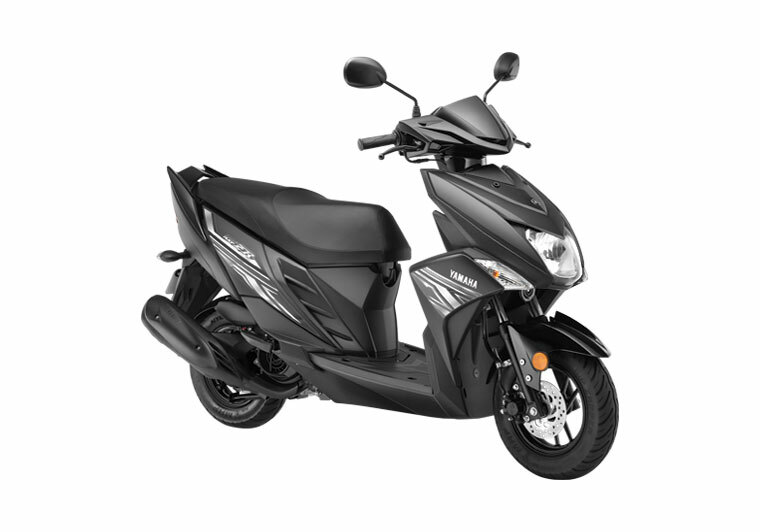 We had already given our positive verdict on Yamaha Ray-ZR stating how it fits both boys and girls unlike the Yamaha Ray scooter. This 113cc powered scooter from Yamaha has got all the right recipe to challenge all other class-leading rival scooters like Honda Dio, Activa 4G, TVS Zest 110, Jupiter etc. Year 2018 is turning out to be good for Yamaha Ray-ZR, as more and more people are buying Ray-ZR scooter in India. 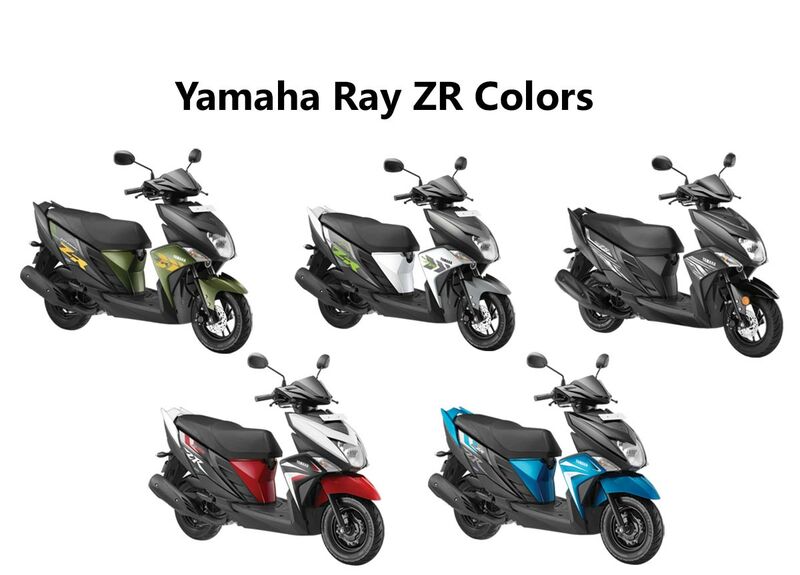 In this article we will check out all color options available for Yamaha Ray-ZR automatic scooter. 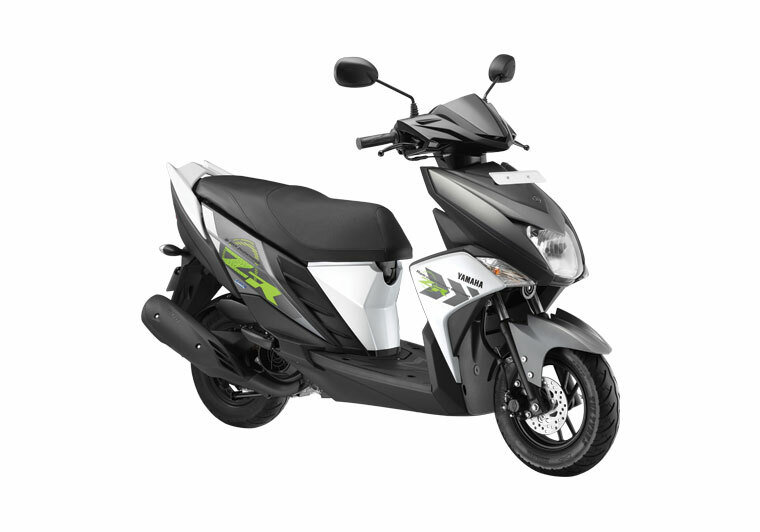 The all new Yamaha Ray ZR scooter is available in White color variant (Fizz White). Check out Yamaha Ray ZR in Fizz White Color option as seen above. Yamaha Ray ZR in Matt Green is the character color of this scooter (used in all promos and advertisements). The Yamaha Ray ZR Matte Green Color variant has got a very unique look. Check out the photo of all new Yamaha Ray ZR scooter in Green Color above (Matt Green). Available only in drum brake variant option, Maverick Blue is a great color for Yamaha Ray ZR. You may check out the photo of Yamaha Ray ZR scooter in Blue color variant above (Maverick Blue). The all new Yamaha Ray ZR scooter is available in Red color. Check out the photo of all new Yamaha Ray ZR in Rooster Red Color variant. Yamaha Ray ZR gets an air cooled, 4 stroke, single cylinder 113cc engine. Ray ZR engine churns out 7.2 hp of power @7500 rpm and 8.1 Nm of torque @5000 rpm. The price of Yamaha Ray ZR Drum brake variant starts at Rs 53,500 ( Ex-showroom Delhi) and the Disk brake variant of Yamaha Ray ZR is priced at Rs 56,000 onwards ( Ex-showroom Delhi). Which is your favorite color among the 5 color options of Ray ZR scooter?